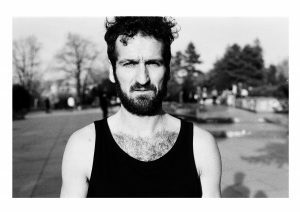 If, while walking around Žižkov, you hear two guys speaking French and talking about photos and the next exhibition while drinking a beer, you are probably passing by Life Is Ours – Gallery. If so, don’t be shy – go inside to have a look around and start a conversation with Daniel and Klez – you will probably fall in love with the vibe of this place and all the projects going on! 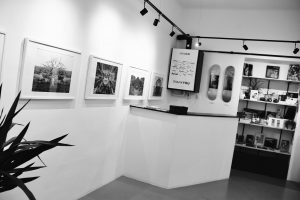 Daniel Flusser and Klez Brandar are skateboarders, photograph passionate and they share the dream of starting an independent art gallery in the heart of Prague’s most popular and alternative neighborhood. I am happy to have met them and to share here their story and projects. What is your background and why have you decided to move to Prague? 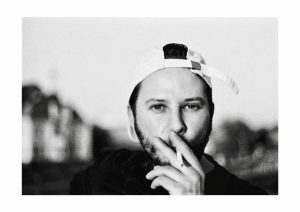 Daniel: I am a 27-year-old photographer, graduated from the Art School of Strasbourg. I lived 5 years in Catalunya (Spain) where I developed my works between architecture, portraits, skateboarding. Currently I am living in Prague, fully dedicated to the Gallery and committed to pushing it forward. Klez: I am from Brittany (France) and I spent the last 10 years living in South America, New Zealand, France, Italy and Spain. I moved to Prague in 2015 to work, but also for a new lifestyle, taking advantage of a European capital, but not as stressful as Paris or London. Like Daniel, I am a skateboarder and photographer, but also a musician. I recorded a studio album in 2014 called Solitania, and thanks to these passions, we met and I started to support him with the gallery. We are really working hard to push and connect it with the local scene. When you are not known yet, it probably takes time. How would you describe the gallery in three words? Daniel, Klez: Free, Independent, Ambitious. Tell us about the origins of your gallery. What led you to open your own gallery and how did you make it happen? Daniel: Around three years ago in Barcelona I was supporting a friend of mine with the opening of a new clothes brand shop and I was thinking: I want to do my own project linked to photos, because I love photos. At that time, I was struggling to find a place where I could show my works. So, I really wished to have my own gallery in which it would be easy for an emerging artist to find a space to share artworks. When I started, I had no idea about what running a gallery means. I learnt everything on my own and thanks to a crowdfunding project, the opening was possible on 8th September 2017. 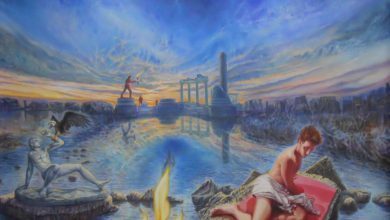 Life Is Ours – Gallery aims now to be an independent art gallery showcasing cutting-edge art from across the globe. It’s not a gallery in the traditional sense. It’s a place that brings together artists, collectors, first-timers and enthusiasts and as artists ourselves, we believe in the principle of talent and ability. In an industry so often governed by commercial viability, we proudly stand by our commitment to only showcase work that we genuinely believe in. Where does the name of your gallery come from? Daniel: The name of the gallery came from a Jean Renoir movie – “La vie est à nous” – about mixed people – workers, peasants and intellectuals. This fits with the idea of the gallery – where I wish to bring people with different backgrounds and stories and where everyone should be able to experience and enjoy exciting art from all around the world. Is there someone who influenced you in a particular way? Daniel: A movie of Agnès Varda and JR, Visage Village, inspired me. Varda and JR begin to travel around small French towns in a van. In each place they visit, they’ll meet the people and JR will produce his epic-size black-and-white portraits of them, which they will then plaster on houses, barns, storefronts: any available surface. Klez: An artist that has particularly inspired me is Diane Arbus. I really like the social aspect of her hand-held black and white images of marginalized people. 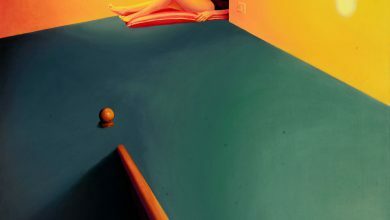 How is the art scene in Prague developing? Daniel: Away from the touristed Old Town, an interesting contemporary art scene has developed in the last few years in Prague. Here the galleries are spread out and almost all are completely located outside the typical tourist areas, such as the charming Žižkov, originally a workers’ district that recently has developed its colorful cultural life with a handful of new art galleries. How do you connect with local people? Klez: We would like to build a family behind the gallery, not only for expats but also for locals. To make this happen we have a project. We want to exhibit in the gallery 100 portraits of people living in Žižkov. One hundred, because we are at 100 Koněvova Street. The portraits will be white and black and I’ll take only one shot so if the person moved or went out of focus and the picture isn’t good, it will not be in. This project is about taking time to connect with people and work with an old camera. Another detail is that the shot is unexpected. People are not told that they will be photographed in advanced. It’s a good way to know the atmosphere of the neighborhood and I love the social aspect, even if it’s not easy every time. I’m really looking forward to this exhibitionn, which will take place in September 2018 to celebrate one year of the gallery. How do you choose the artists to exhibit in the gallery? Daniel: I have to be impressed with the artworks and like it enough to want to show it. But that’s only a start! Plenty of other puzzle pieces have to fall into place in order for the artists to seal the deal. Klez: If there is an emotion, something that touches me, even without knowing why – like when you fall in love. What does independent art mean to you? Daniel: The mission of iindependent art is to give young artists the chance to exhibit their work and ideas. It is about building a network to support people not known to do what they love. Klez: However, independent art does not mean that everyone can be an artist, for that you should have a concept. If you do not have a concept, a project behind you can make beautiful pictures without being an artist. What advice would you give to someone starting his or her own gallery? Could you tell us a bit more about the current exhibition? Klez: We are currently exhibiting the artworks of Julian Furones, a Spanish artist who moved to Hamburg. He was professional skateboarder who had been travelling around the world taking photos with is Leica camera. What exhibitions or projects do you have planned next? Daniel: We are looking forward to the next event, ULICE, that will take place on 9th June. 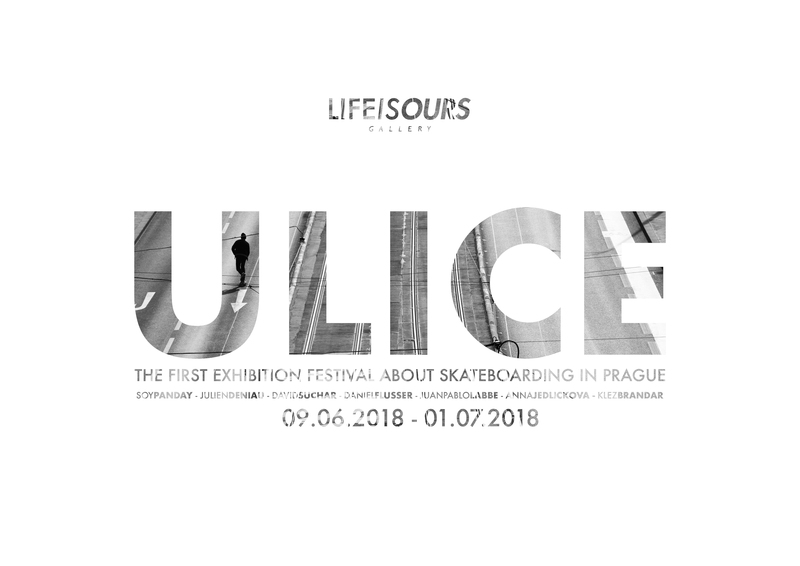 “Ulice” means “street” in Czech and it is the first exhibition festival about skateboarding in Prague with a vernissage, live concert, contest and a secret party! We invited 7 different artists all passionate about skateboarding to present their own artworks in the gallery. The exhibition will show drawing, painting, videos photographs. There will be also a Blues / Garage / Gospel one-man-band from Holcomb playing live in the gallery followed by an After-Party with DJ’s and beatbox in a secret place, 300 meters from the gallery. Klez: Ulice is about skateboarding, but everyone can come and enjoy the evening! How do you see the future of Life is ours – Gallery? Daniel: We are open to adding more projects to the gallery doing something else – like a café with a library – also through a collaborative network or an independent circuit.